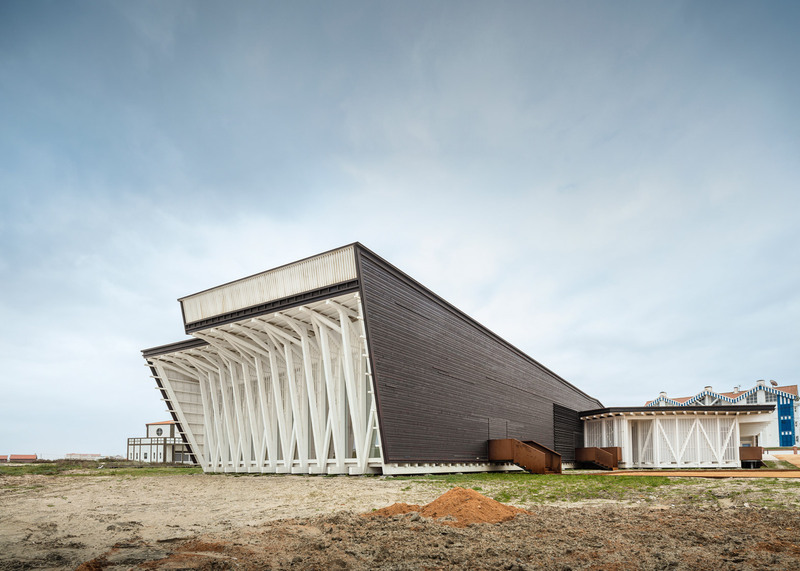 Architects office ARX Portugal has completed a beachside civic centre on Portugal's Costa Nova, featuring an exhibition hall facing out to sea and a series of sloping rooftop terraces (+ slideshow). 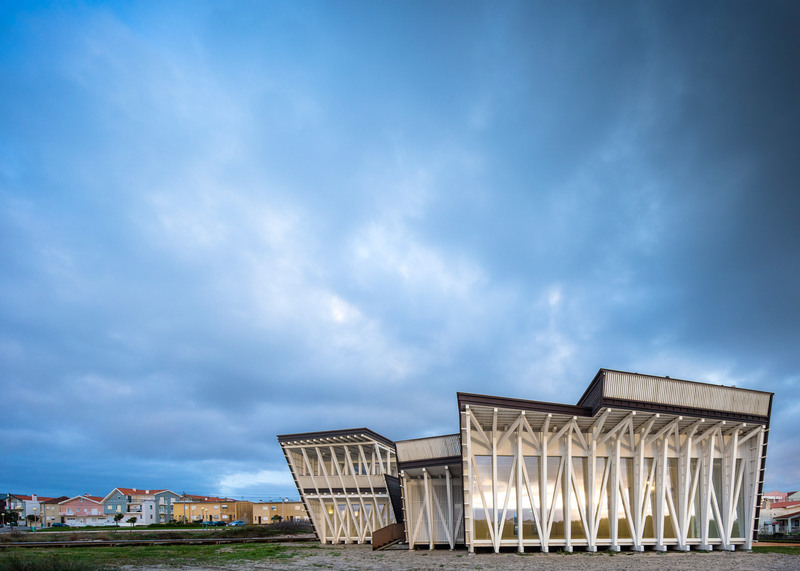 Built on the dunes that separate the coastline from the road, the Centro Sócio-Cultural da Costa Nova provides a series of community facilities, including a health centre, a social hub and a multi-purpose hall for exhibitions and events. 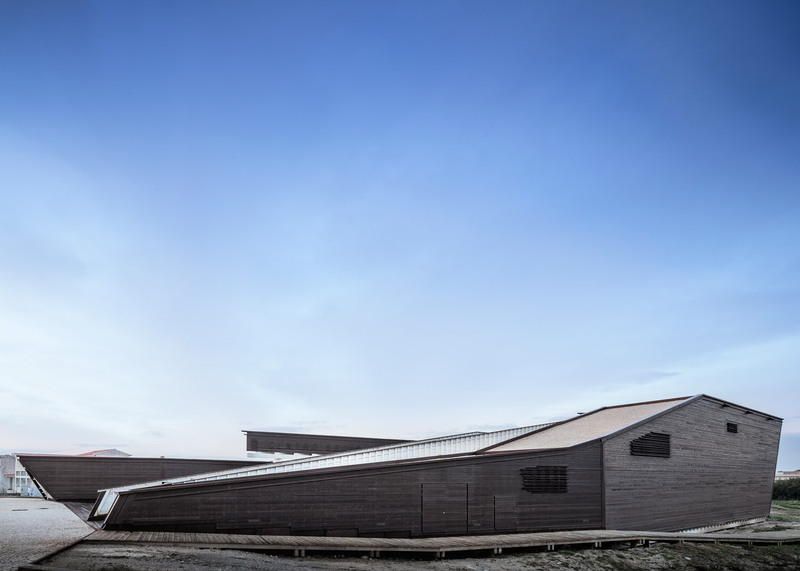 ARX Portugal designed the 1,420-square-metre building to reference the local "palheiros" – vernacular timber-framed storehouses that typically feature intricate structures and thatched straw roofs. 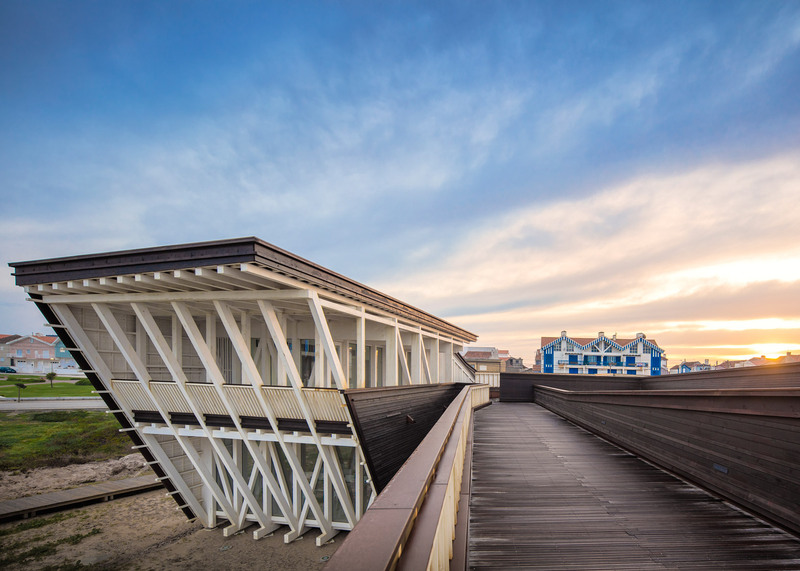 So instead of using steel or concrete, the architects gave the sprawling two-storey structure a complex timber frame, which is left exposed to create criss-crossing patterns at certain points around the exterior. 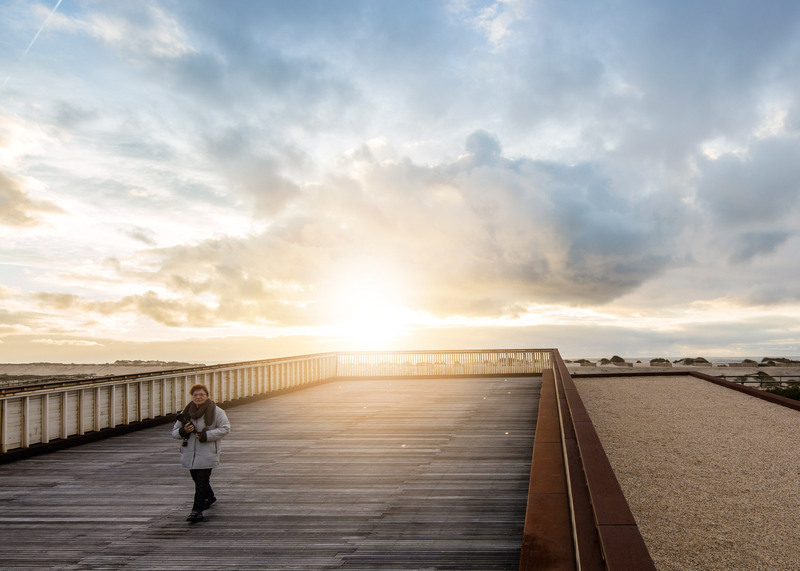 The only exception is the concrete foundations, necessary to give the building stability in the soft sandy landscape. 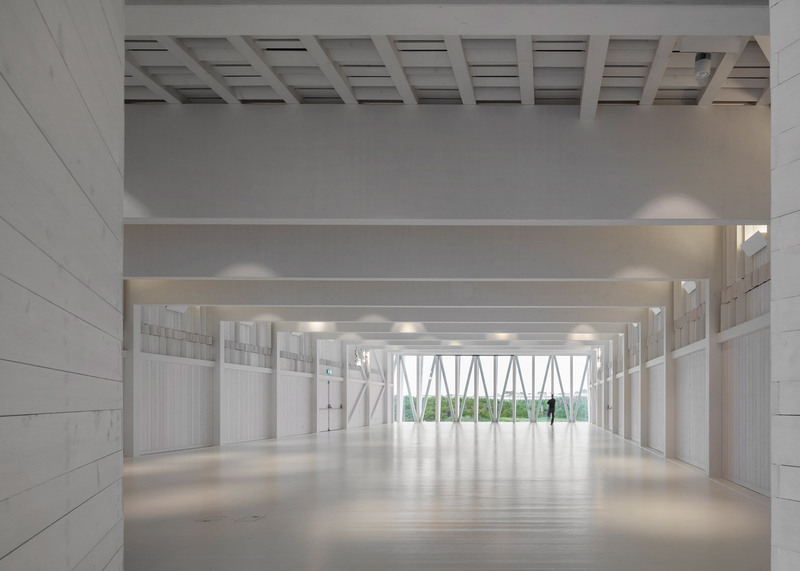 "The new building – with its multifunctional profile, and symbolic and public presence – proposes to take its place as an end piece for both the bordering buildings and the natural place," said the architects. 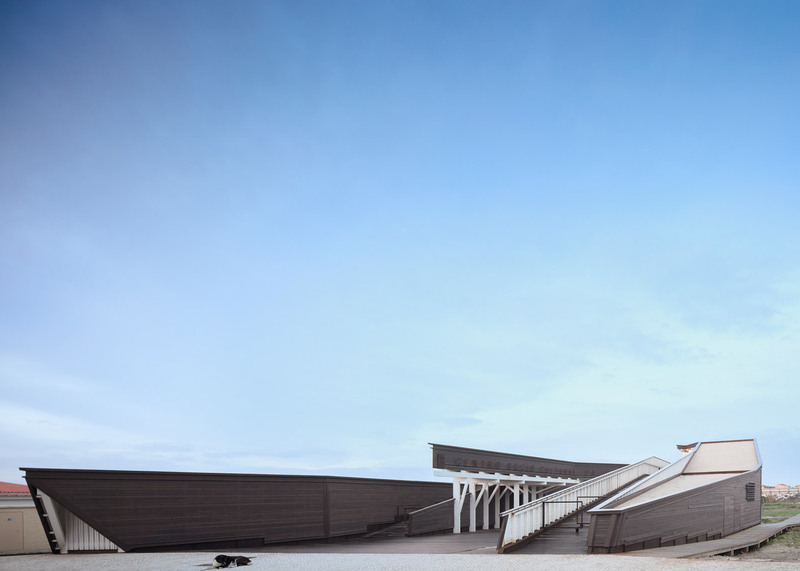 "The project wishes to reinterpret Costa Nova's characteristics in a clearly contemporary way," they added. 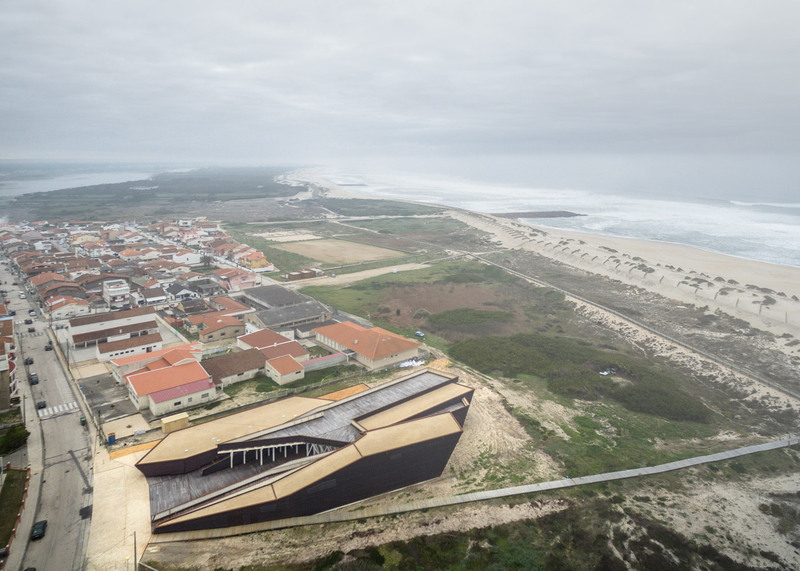 "The construction, made entirely of wood like the original 'palheiros', sits on a semi-buried foundation to [create] a building that hovers over the dune." The sea isn't visible from the majority of the ground floor areas, so the architects created a series of terraces across the roof. Connected by sloping pathways, these terraces encourage passersby to interact with the building. The main entrance is located alongside these paths. It leads through to a generous reception connecting the building's three wings. The hall is at the centre, sandwiched between the healthcare and social facilities. 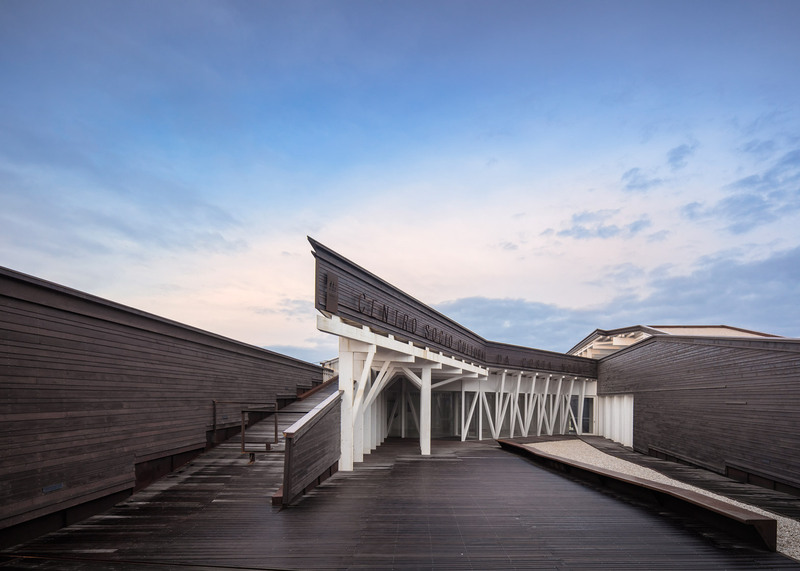 "Following the natural topography, the public walkway stretches into the heart of the building, creating a new wooden public square that leads the visitor inside and protects them from the wind," added the architects. Externally the pine surfaces are stained black using vegetable oil, giving them a slightly aged appearance, although some details are picked out in white. But almost all surfaces are painted white inside the building. 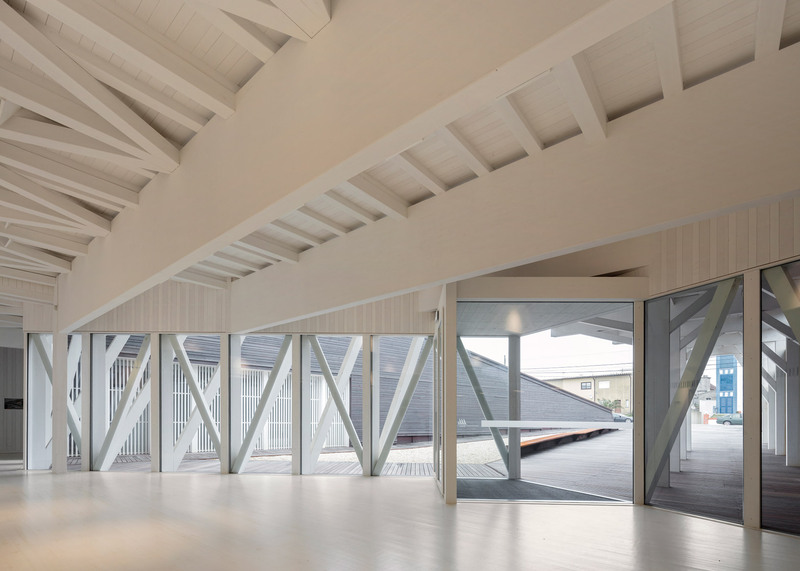 ARX Portugal is led by architects Nuno and José Mateus. 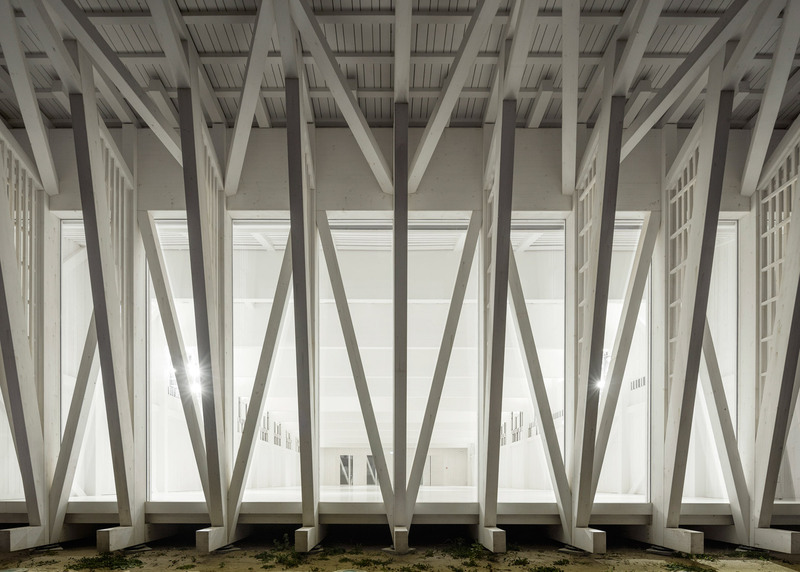 Past projects by the studio include a white-washed market building a concrete school and a maritime museum.